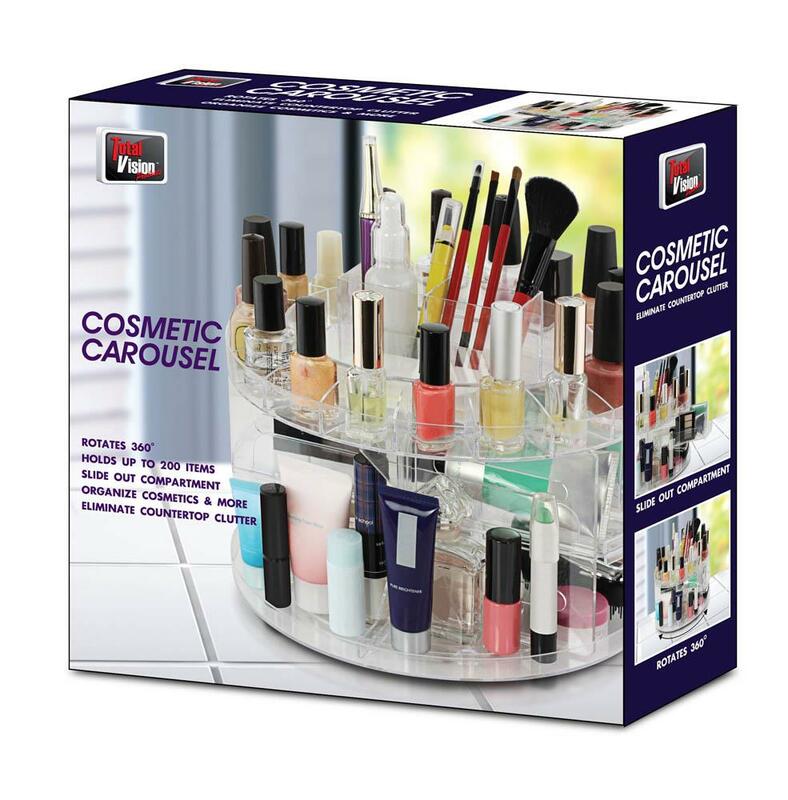 Make getting ready in the morning better than ever with this fantastic cosmetic carousel. 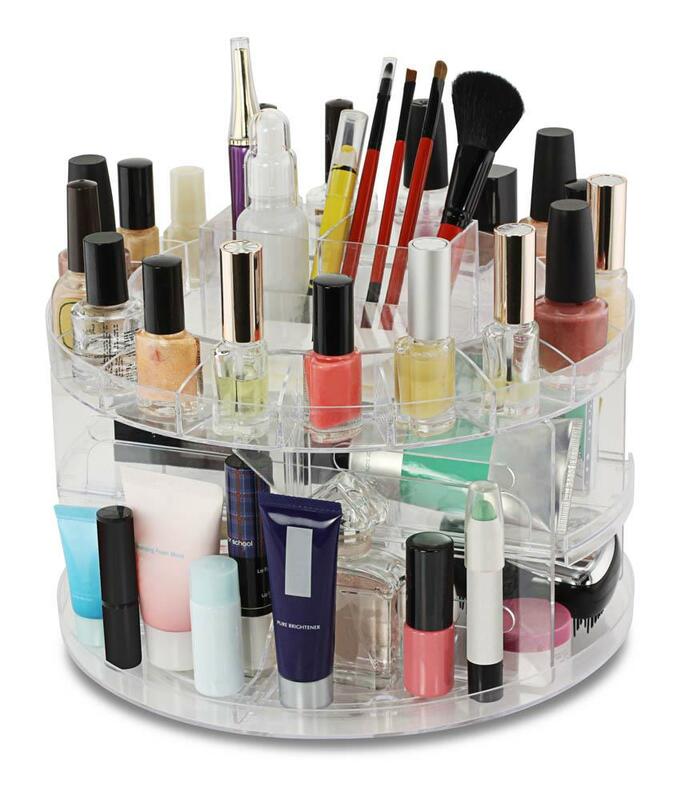 It rotates 360 degrees and even has slide-out compartments for easy access to all your beauty products. It can hold up to 200 items! It's perfect for makeup, makeup tools and brushes, nail polish, moisturizers and more. Plastic 10.8" x 10.8" x 8"
Cosmetics and brushes shown in photos are not included.